I have always kept many Windows OS versions on my Mac using virtual machine software. In fact I still do. I have every version from 8.1 back to XP SP2 just for cross platform testing. I had thought about purchasing Windows 8 when it first hit the shelves but read so many poor reviews and heard complaints in person that I was easily swayed. Earlier this year, Windows 8.1 was released and I decided to throw in the towel. I thought to myself, Windows isn’t going to let 8 die so I should probably learn it and that’s when it started to dawn on me. Did Microsoft create an all-in-one OS? At first, when I would use Windows 8 on someone else’s computer, I didn’t like the whole “metro” interface. I thought at one point that there was no desktop at all! When I finally purchased and started familiarizing myself with Windows 8, I started to see what was going on. A combination of operating systems. Mobile and Desktop united? Could this really work? To answer this question, I had to get away from the virtual machine (on my MAC) and get a touch screen device that runs Windows 8.1. Fast forward to today and here I am on my Microsoft Surface Pro 2 tablet (laptop) typing this article. And yes… I own an iPad mini so you can already tell my preference. For those of you that thought that I would be bashing this because of my Macintosh loyalty… sorry to disappoint. For a meager (extreme LOL) $899.99 I purchased the Surface Pro 2 tablet (64G). 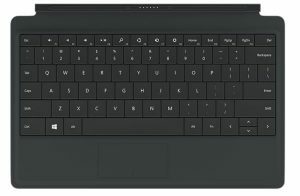 At first, I was researching the Non-Pro Surface 2 –obviously because they’re cheaper– until I realized the differences. Mainly being that the Pro 2 has a desktop and the ability to run regular software… not just apps. To me, this was a eureka moment. This is when I realized that the Surface Pro 2 was the apex of the Windows 8.1 operating system. The combination of both a PC and a tablet in the same device. The Singularity if you will? 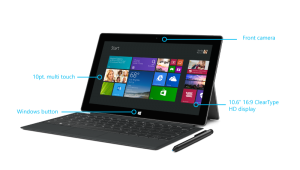 At that point, I had no choice but to spend the extra money –MUCH extra money– to get the Surface Pro 2 with Windows 8.1. Coming in at almost double the cost of it’s non-pro counterpart, I was a little put off by the price at first. The keyboard case that is a “must-have” (seriously) I am still extremely put off by the price of that at $129.99 but I couldn’t imagine using the Pro 2 without it. Out of the box I was a little shocked by the size. I thought for sure that it was smaller but it’s rather large for a tablet. Much more weighty and thick than today’s most popular tablets. With every manufacturer going for the smallest, thinnest, lightest tablet design I thought this to be rather awkward. 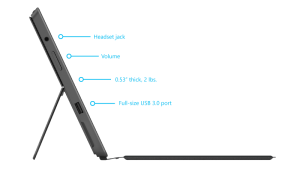 But, it has a USB 3.0 port (which not many tablets have), mini SD slot, and a mini video output so there’s an inherit need for some thickness to this product. And after some use, it’s not much different than a full size iPad with a protective case (aside from the extra weight). Coming from an iPad mini as I was, this was quite a difference. But as you’ll read, worth getting used to. What really sold me on the Surface Pro 2 was the combined PC and Tablet OS as I previously mentioned. Unlike an iPad or other similar tablet, this tablet has a desktop! An actual desktop that is the same as the operating system installed on my virtual machine. Truly making this tablet much closer to a PC or laptop but still within the size confines of a tablet (for the most part). Best thing being that I can choose when I want to use it as a tablet (as it’s fully touch-screen interface is smooth and accurate) or get down and dirty with some code using programs usually limited to desktop or laptop PC’s or MAC’s. It also comes with a stylus which I thought was kind of a dated idea at first but again, I was surprised. The stylus works on the desktop or metro screen, allows you to hand-write pretty accurately in software such as “One Note” as well as navigate the computer like a mouse. Once the stylus comes within a certain distance of the screen, it will act as a mouse which is pretty cool. The stylus also attaches itself magnetically to the charging port while not in use. It tends to fall off pretty easily but it works for the most part. A minor setback. Another huge seller for me was the graphic quality. This screen, while small (compared to a dasktop), is extremely clear and sharp. With a screen resolution of 1920×1080 (HD) pixels, this has the same resolution as my 21.5 inch iMac! Pretty amazing if you think about it. The graphic quality is pretty stellar compared to other tablets. Personally, I like it better than the Apple Retina display. Overall though, the ability to run programs that were usually limited to a desktop or laptop was what motivated my purchase. I could actually get work done on this –dare I say– tablet!? Here’s some of the program’s I’m using on this tablet: Microsoft Office Suite, Photoshop, Cyberduck, Brackets, FireFox, Chrome, Safari, and many more. All because it allows me much of the same abilities I would have on a normal desktop PC. And Kudos to Microsoft for actually releasing a branded product that is worth a damn! The craftsmanship seems sturdy and well assembled and the responsiveness of the screen is amazing. Even using the tablet at the “portrait” orientation, apps and programs adjust to the viewport change pretty seamlessly. No real latency issues that I can detect when pressing the screen. I have been playing some games lately and using the screen rather than the keyboard and seeing no touch latency. This has some serious hardware behind it — which is probably contributing to the overall weight — but I think it’s worth the extra baggage. This thing is fast! I must admit, even with all of it’s abilities… it’s quite fast. 4GB of on-board RAM and an Intel I5 processor make this thing extremely quick. I have given it my usual processor torture test and it performed really well. It’s proving pretty difficult to crash which to me is odd, being that it’s a Microsoft product. I haven’t purchased a Windows or a Microsoft product previous to Windows 8 or Office MAC in over 10 years! This is new behavior to me. I’m used to PC’s crashing constantly. The battery life on this device is to be expected. It’s nothing amazing and is dependent on how hard you’re pushing the processor but if you manage your apps and open processes like I do, it’s easy to get more bang for your buck. I’m sure there are some secrets out there as well that I don’t know but overall the battery life is relatively average compared to other tablets I have used. Which, come to think of it is kind of a good thing. As I have stated, this thing is powerful yet it’s battery life is similar to regular tablets with far less features. The “kickstand” is another crucial feature of this device. Having 2 reclining positions gives you a better angle depending on how you’re sitting. In combination with the keyboard cover this makes for a mini-laptop PC which is (as I type this) how I am currently set up. I have tested on my lap as well and while a little flimsy, it works rather well. I’m slightly concerned with the lifespan of the “kickstand” being that it’s so thin and fragile seeming but that will remain to be seen. My biggest problem is the price of the keyboard “cover”. A standard PC keyboard can be purchased for less than $20 dollars yet this thing warrants a hefty $129.99 price tag? I’m not THAT impressed with the keyboard cover but in comparison to the other keyboard cover offered (the flat ones without actual buttons), it was my only option. The keyboard isn’t the best case/cover at all. It’s buttons touch the screen when folded which I believe will lead to scratches on the surface, not really protecting anything. To say it’s actually a cover/case as it’s advertised is inaccurate at best. It will not properly protect your device from getting damaged. It is definitely a keyboard that folds forward and backward, but not really a case. The keyboard also has this micro-fiber-esque, suede-esque surface that while smooth to the touch, leads to some inaccuracies while using the trackpad. Don’t get me wrong, having a trackpad is essential but I feel like because it’s covered with this textured surface, it’s not as accurate as it should be. The Weight. Weighing in at 2 lbs this is surprisingly heavy compared to other tablets. Now, I am a rather large man and that 2 pounds starts to make you realize how out of shape you are… real fast! You kind of have to cradle the device rather than hold it like a book as you see with other tablets. I’m not saying you can’t hold it in that position, just saying that you might find it difficult. Even with my large hands, I struggle after a while of holding it like a regular tablet. If you’re into doing preacher curls on a regular basis, you may not have any issues. I would say it’s more like holding a mini HDTV in your hands rather than a tablet so I would suggest checking it out in person before buying. As of the posting date of this article, there is no actual protective case for this device that I can locate. This is a little unnerving to me but I guess in the end I’ll just have to be more careful. That being said, I had to purchase a padded carrying case (or murse :/) to at least protect against a fall. Hopefully. While a larger case like Lifeproof or Otterbox would (if it existed) essentially make this thing a full fledged laptop by adding much bulk and size to an already semi bulky product. It will be interesting to see what protection options eventually come along but for now, I’ll have to be extra careful. 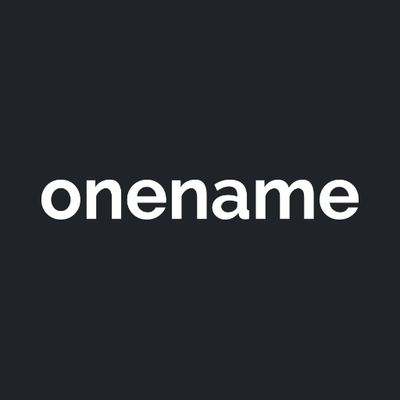 The benefits of this product far outweigh the detriments and I highly recommend this to any programmer, developer, or business professional. This is the tablet that is not just a toy! 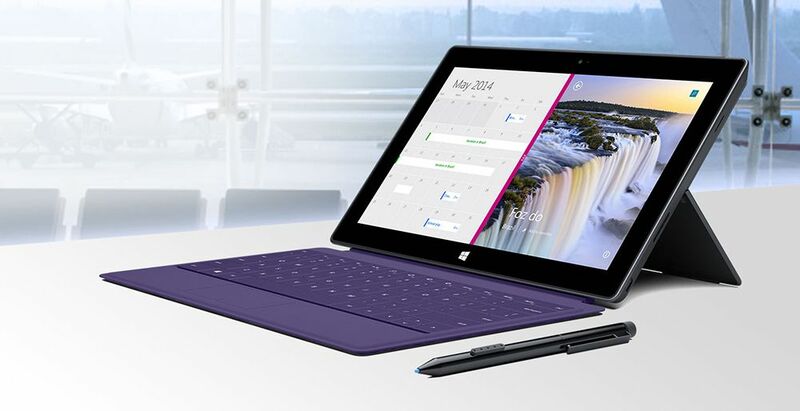 The Microsoft Surface Pro 2 means business yet can be used as a “toy” for playing games or social networking. It’s your choice and that’s what I like… having a choice. If you’re just looking to check email and access the internet… get the non-pro version or any other tablet on the market and save yourself the money. I give this product 4 out of 5 stars. Which is my highest rating possible. Nothing is perfect and until something perfect comes along… a 4 star rating should indicate to you that this product is worth the money (sans the keyboard cover). Thanks for taking the time to read my review, I hope I was able to help some of you who are on the fence about this before the holiday season hits full swing. As always, I look forward to comments and questions.